Love, Ifa ! 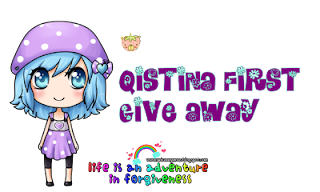 : QISTINA first GIVEAWAY ! ehhehe ~ comel takk ?? ttbe ! todayy ! PM juin ituhh GIVE AWAY BY QISTINA !! cool takk ? cool takk ?? #kayy senyap ! okayy ! for more info ! click the banner ! 1.Follow QISTINA blog n like my page..
ihikk ~ #cutte laugh ! soo ~ dats all for todayy ! see yaa !